Here is one of my quick and easy and very delicious recipe – definitely a nice addition to any dinner or lunch or as a snack. Try serving it with nice salad for a great summer meal! 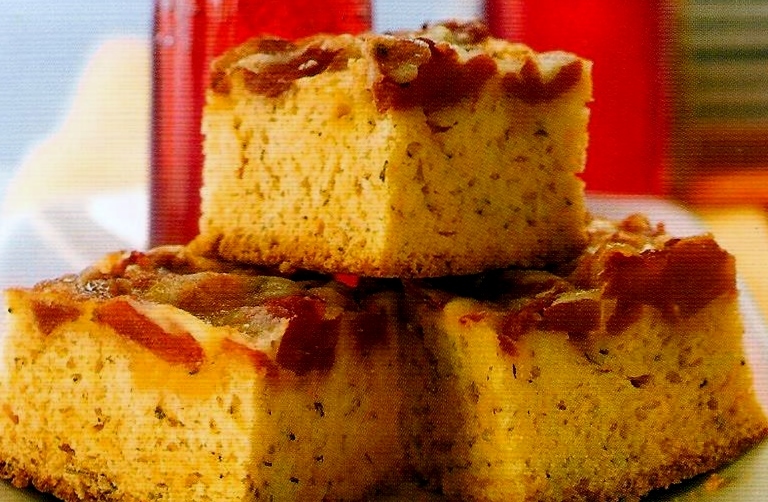 Combine baking mix, 1 teaspoon of oregano and 2/3 cup of reserved tomato juice in medium bowl. Press dough evenly to edges of 11 x 7 x 2 inch greased baking dish. Sprinkle cheddar cheese and remaining oregano over batter. Distribute tomato pieces evenly over cheese and sprinkle with Monterey Jack cheese. Bake in preheated oven at 375F oven for 25 minutes or until edges are golden brown and cheese is bubbly. Cool 5 minutes before cutting squares to serve.